Like many aspects of Modelling, we are spoiled for choice- from private custom written Software Applications to complex systems with large development teams. The beauty lies therein that everyone can choose his/her own solution – there is no right or wrong ! We all have different expectations and may seek varying desired levels of complexity and functionality. The Good news is that there are “Free” (either as “shareware” or even better as “Open Source”) applications and tools available as an alternative to commercial applications. You however need to be realistic in terms of what to expect from your chosen software solution. Need Premium support and require to speak to support? Like to tinker or perhaps you want to/need to make changes to the code? ..Then one of the Open Source projects may be just what you are looking for! Be careful that you don’t end up purchasing a DCC system purely based on the software you initially use. Without realizing it, you may “buy into” a DCC system as a result of trying your hand with some particular version of software!My recommendation is that if you do decide to invest in a software solution, do a bit of research, just to ensure, as a minimum, that you will ultimately be able to meet your own personal goals. There are various types of DCC Applications available. Note: DCC Software is different from Layout Planning and Simulation Software. Regardless of which Software application you use, you still need to connect your computer to your DCC layout before you can use any of these tools. Generally, you connect your computer to the layout via a device called a computer interface using the DCC Network that is a part of your DCC system. In short, Interfacing means connecting your layout to a computer via a Serial or USB port. The JMRI software is a suite of programs and is a single download. Don’t worry about about trying to get each part separately – they’re all bundled together. Also, you do not need to use each part of the suite to get a specific task done – that is you don’t need to setup the automation part if all you want is to quickly program your decoders. TCC Supports multiple DCC Systems Tcc is a software package for assisting in the running of model railway layouts. 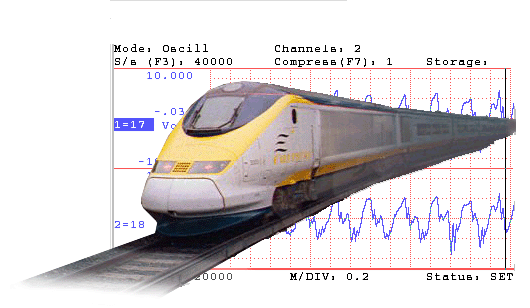 It is software loaded onto a computer that drives interface hardware (such as RPC modules) that connect to model railway devices such as signals, turnouts and control panels.The computer used may be a PC running Windows, Linux or Solaris, a Sun sparc running Solaris, or an Apple Mac running OS X.
C/MRIhttp://www.jlcenterprises.net Supports multiple DCC Systems Bruce Chubb’s Computer/Model Railroad Interface system. 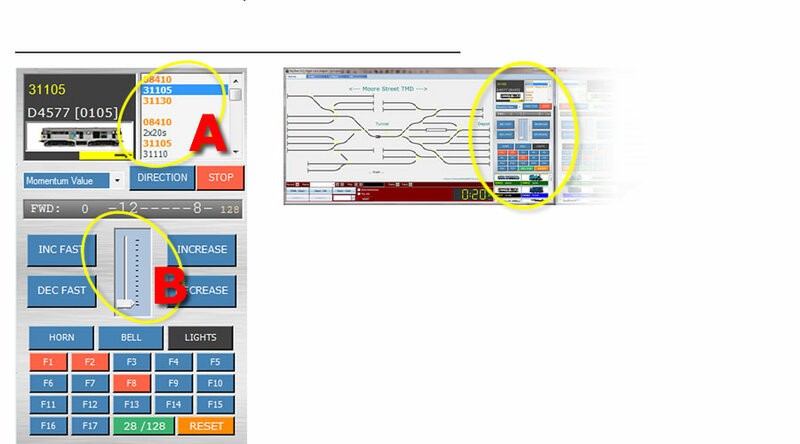 MRCCC Only runs on MERG RPC hardware (RS232) Windows software application created to provide a user interface and interlocking for the model railway that closely replicates real modern UK signalling practice. MRCCC is designed to be the signalbox – it does not attempt to control the trains or allocate controllers and traction power feeds. However, it is a flexible system and complex additional logic can be built up if required using any of the signalling states, which MRCCC knows about. KAM TRAIN TOOLS Development halted due to legal and economic issues Train Tools is collection of Model Railroading Products that are designed to use computers to enhance your experience in running your model railroad .KAMRR provides the differnt solutions needed to operate your model railroad. 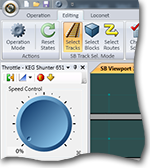 KAMRR Train Tools software provides the tools for you to operate your layout. 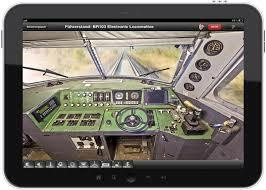 Train Tools software includes Engine Commander Virtual smart phone Throttle and other application software. Operation of layout with smartphone and tablet PC’s COM or USB port, so no changes to your computer are necessary. And using the CTI system requires no changes to your model railroad equipment. We believe the CTI system represents the most flexible, the most user-friendly, and most affordable model railroad control system ever produced. CTI ELECTRONICS Proprietary system with custom hardware CTI interfaces directly to your PC’s external COM or USB port, so no changes to your computer are necessary. And using the CTI system requires no changes to your model railroad equipment. We believe the CTI system represents the most flexible, the most user-friendly, and most affordable model railroad control system ever produced. 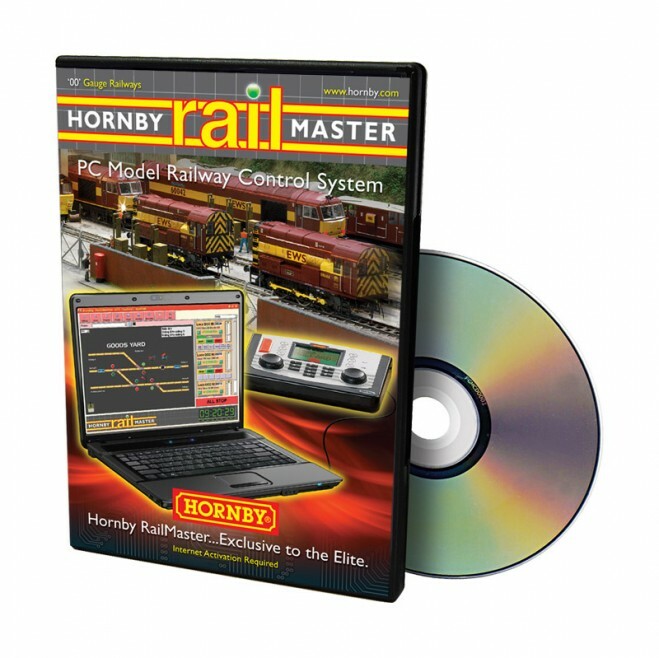 HORNBY RAILMASTER Supports Hornby Hardware RailMaster, from Hornby. It has a database of more 1,500 locos going back to the 1970s, allows full control of locos, signals, points, turntables and operating accessories from a computer.Optimized for touch screen operation using MS Windows. There is a simple programming language built in that allows the building of automated layouts. Build programlets and merge them into large programs for more sophistication. MRC Requires MRC hardware MRC offers a proprietary computer interface for their Prodigy DCC products, along with software. The software is for Microsoft Windows only, and is the only software which works with their Prodigy Computer Interface. At this time there is no other software package that can interface with the MRC Prodigy DCC system. Windows, Linux, OS X Designed by the creators of Moore Street TMD to enable a complex end to end layout run realistically with several sound enabled locos operating at the same time with the switching of turnouts, routes and signals. It was soon realized that the only practical way to operate Moore Street TMD was with the investment of some train controller software for my lap top. BIG BEAR DCC Supports numerous DCC systems Designed by the creators of Moore Street TMD to enable a complex end to end layout run realistically with several sound enabled locos operating at the same time with the switching of turnouts, routes and signals. It was soon realized that the only practical way to operate Moore Street TMD was with the investment of some train controller software for my lap top. Based on availability, support and Ease of Use, we recommend using the commercial software, Railroad & Company® from Friewald Software is hard to beat and we have found this software to be the most intuitive and easy-to-use model railroad control software on the market today. While not perfect, RR&Co’s well thought out and highly intuitive graphical user interface means this software is very easy to learn and use, making it particularly attractive to users without computer programming experience. RR&Co supports virtually every popular DCC system, including products from Arnold, EasyDCC, Lenz, Lionel, Marklin, North Coast, Ramfixx, Trix, Wangrow, Zimo, and others, again making this software a very attractive solution if you want to future-proof your investment. If you cannot afford, or simply first want to try a DCC system, we recommend using JMRI® from the Java Model Railorad Interface project which is a collaborative, open-source effort to develop a suite of tools for model railroad computer control. 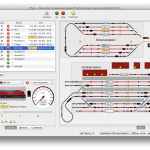 You can use the JMRI toolset as the starting point for developing your open model railroad control applications, or use their higher level applications suite directly. You can build control panels, set up signaling, configure operations and control your layout using or go beyond the basics and use Logixto to automate your layout’s operation.